Financial Aid can help you afford college! In fact, most full-time college students receive some type of financial aid. While financial aid may help reduce the cost, it is important to remember college is NOT FREE! Students and their families are expected to contribute. Are you a high school senior who has excelled in school despite facing financial challenges? You may not realize attending a top college can be affordable, and you can reach your full potential by completing the 2018 National College Match. The National College Match connects high-achieving, low-income students with full four-year scholarships from 39 of the nation’s best colleges. Students also have a second chance of admission with QuestBridge Regular Decision, through which they can receive very generous financial aid. Finalists typically come from households earning less than $65,000 annually for a family of four, and often less. This is not a strict cut-off and we encourage students who feel they have faced significant financial hardship to review these financial details carefully to see if they may qualify. Students with divorced or separated parents must report the income of both biological parents, as non-custodial parent information is taken into consideration by our partners when determining financial need. The only exception is when the student has not had contact with the non-custodial parent for an extended period of time. Please note that Finalists will need to submit official documentation verifying their financial situation to the colleges to which they apply. A thorough financial review will be performed by QuestBridge and by the colleges for all students who become Finalists. The free application is due on September 27, 2018. Visit https://www.questbridge.org/ for more information. Contact the REC Counseling Team with any questions (559) 327-4142. Please contact the Counseling Center at (559) 327-4142 with any questions you may have. The 2018-19 Free Application for Federal Student Aid (FAFSA) and California Dream Act Application (CADAA) opens October 1, 2018. 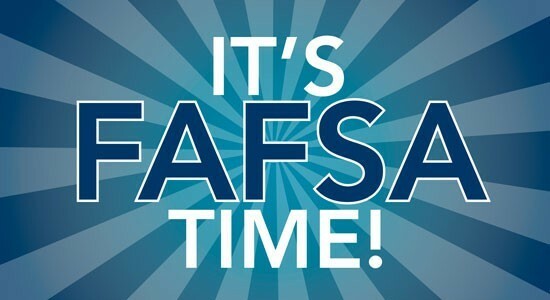 Your FAFSA or CADAA must be submitted by March 2, 2019 for Cal Grant consideration. Attend a FREE Cash for College Workshop to receive help completing the Free Application for Federal Student Aid (FAFSA) or California Dream Act (CADAA) and Chafee Grant for Foster Youth applications. This event will be held on Monday, October 16, 2017 from 6pm-8pm in the Clovis High Cafeteria. When completing the FAFSA or CADAA, applicants no longer need to estimate income and tax information and will be able to retrieve data using the IRS Data Retrieval Tool, beginning the first day the FAFSA or CADAA is available. 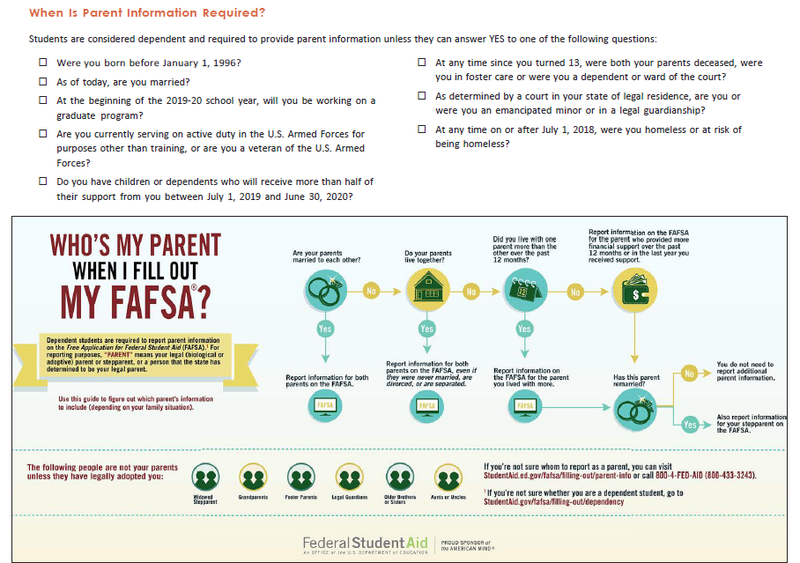 By submitting the FAFSA or CADAA early students will have information about their Expected Family Contribution (EFC) earlier, helping them as they go through the college application and selection process. 1. Enter your login information. Provide your e-mail address, a unique username and password, and verify that you are at least 13 years old. Include your mailing address, telephone number, and language preference. Verify your email address. (This is optional, but helpful.) By verifying your e-mail address, you can use it as your username when logging into certain Federal Student Aid Websites. NOTE: Remember do not share your FSA ID with anyone. 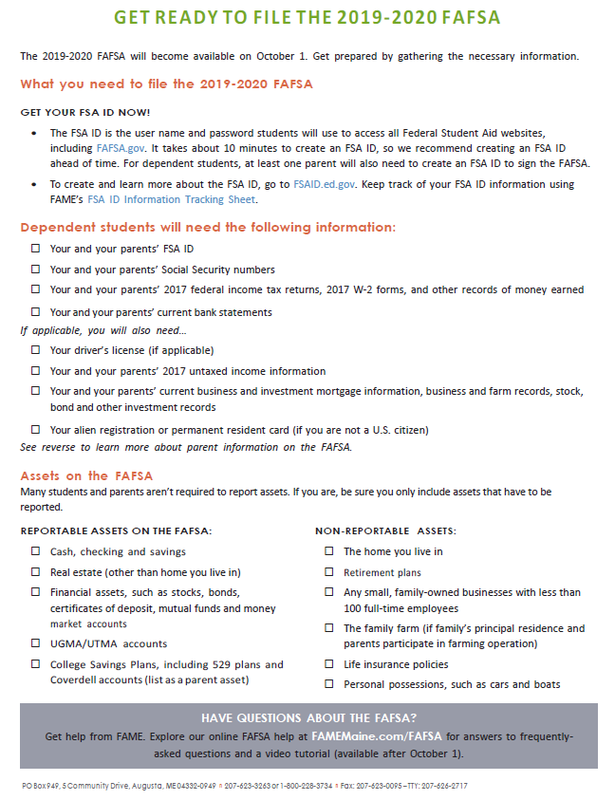 The security of your FSA ID is important because it can be used to electronically sign Federal Student Aid documents, access your personal records, and make binding legal obligations. It truly does pay to search and apply for scholarships! There are tons of scholarship search sites on the internet. Below are just a few to get you started...Remember, you should never pay to apply for a scholarship! 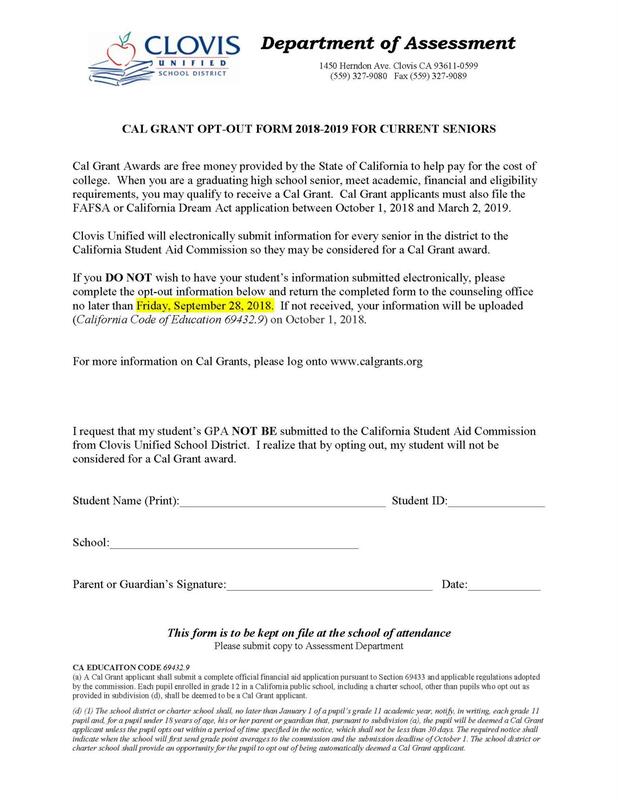 Cal Grant Awards are free money provided by the State of California to help pay for the cost of college. If you have a graduating high school senior, who meets academic, financial and eligibility requirements, your child may qualify to receive a Cal Grant. Clovis Unified will electronically submit your CAL GRANT GPA verification for every senior in the district to the California Student Aid Commission so they may be considered for a Cal Grant award, but you must submit your own FAFSA. Thinking about attending an out of state college but worried about paying non-resident tuition??? It's time you learn about WUE! California residents are eligible for consideration for reduced tuition rate offered at more than 150 participating WUE institutions. To be considered for the WUE rate (150% of resident tuition), apply directly to the WUE institutions of your choice. ▪ Hispanic College Fund Inc.